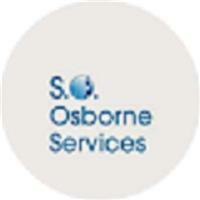 S.O.Osborne Services - Plumber based in Birmingham, West Midlands. I'm Steve and I've been trading for 25 years+. I'm very reliable and conscientious with all work carried out. I do all kinds of plumbing work as no job is too big or too small. I'm a sole trader so there are no hidden overheads. I offer competitive rates with all work fully insured and guaranteed for 12 months. I also have repeat business from my loyal customers (references can be seen). Working as a plumber you're faced with a variety of tasks and will often be called out in an emergency. I’m happy to give you a quote with no obligation. It doesn't matter how far I need to travel to get you back up and running, there is no call out charge.